Please note, the last thing we ever want to do is disappoint you, so please make an appointment before bringing in your vehicle for service. Unfortunately, loaner cars are seldom available to customers without an appointment. You can make a service appointment below or call 410-349-2141. Thank you for your cooperation. The experts at BMW of Annapolis’s service center have a thorough knowledge of BMW car repair. Our mechanics consistently provide our customers with high-quality auto repairs because we know how much you depend on your car, truck or SUV. We will also advise you on any developing issues with your car before they become major problems. 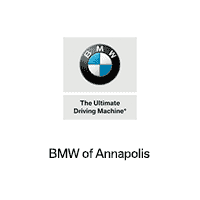 BMW of Annapolis offers monthly service specials so that our customers can save big on BMW car repair in Annapolis. If you are planning on making a car repair yourself, BMW of Annapolis also has a fully-stocked car parts inventory at our Annapolis BMW parts center. Visit our Annapolis BMW dealership today and check out our great selection of new BMW cars in Annapolis. You will also find a variety of quality used luxury cars to choose from.